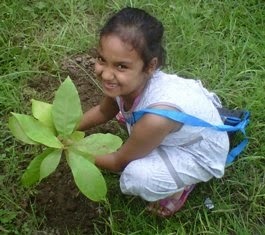 Whosoever plants a tree, Winks at immortality! 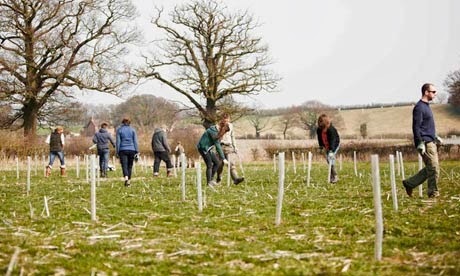 A scheme by one of Britain's most successful entrepreneurs to reforest the heart of England planted its millionth tree. Poet and publisher Felix Dennis said he was proud to have planted the first 10% of his ambitious vision. "I'm hoping that long after I'm dead that the charity I founded will one day be the proud possessor of 25,000 acres of woodland planted with 10 million native broadleafed trees, completely open to the public," he said. Dennis, founder of the eponymous publishing company who was diagnosed with throat cancer last year, planted an oak sapling at a ceremony attended by hundreds of local residents, council members, forestry officials and employees on Friday, and read aloud from one of his poems which contains the line: "Whosoever plants a tree/ Winks at immortality." The project, founded in 2011, is a partnership between Dennis and the Heart of England Forest charity, which aims to plant and preserve a large native broadleaf forest in South Warwickshire, stretching from the ancient borders of the Forest of Arden – also known as Shakespeare's Forest – south to the Vale of Evesham. To date, 2,500 acres of land has been purchased and planted with 1 million native broadleaf saplings – about the size of seven Hyde Parks in London – at a rate of approximately 300 acres a year, making it the world's largest privately planted forest. 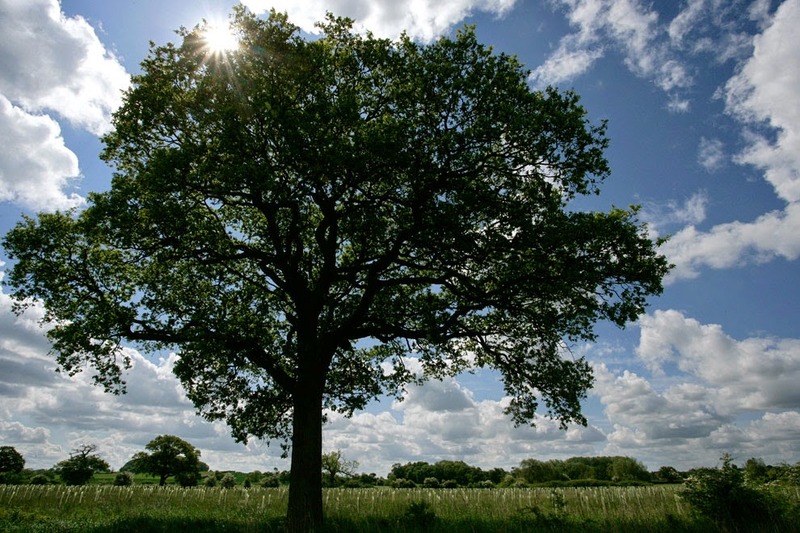 Major species include the English oak and ash, along with the sessile oak, birch, small leaved lime, field maple, cherry, hornbeam, aspen, sweet chestnut, rowan, whitebeam and willow. We're so far down the league table you can't even see us." Dennis, who began planting in the 1990s with a small wood near Dorsington, Warwickshire, announced last September that he would leave 80% of his £500m fortune to the charity after his death. He intends the money to be used to expand the forest to 25,000 acres, planted with 10 million trees and made public, "to create a connected series of woods so extensive that it will form one of the largest forests in England". 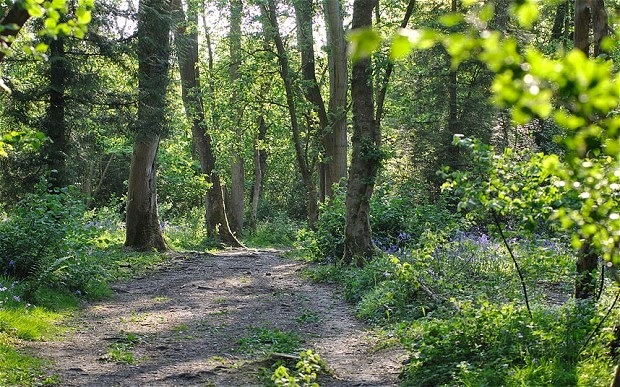 He wants the forest to host a range of activities, such as traditional woodland crafts, coppice and charcoal production, a green burial and memorial site, camping, recreation and equestrian pursuits, birdwatching, tree-top walkways and a visitor's hub with an education and arts centre. These are being felled in stages and converted to a native broadleafed woodland with bluebells. The forest is already providing a habitat for rare species, with 34 captive-bred hazel dormice released into Heart of England Forest woodland as part of a reintroduction project last June. "I really do love watching the land change with the amount of wildlife that arrives," said Dennis. Planting trees is the easiest way to combat climate change: Trees breathe in Carbon Di Oxide, the main cause for global warming and climate change, and through the process of photo-synthesis create food for themselves and breathe out Oxygen. 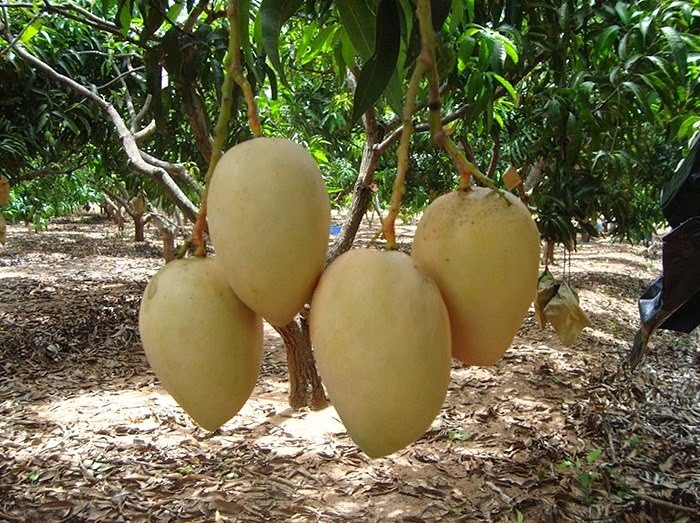 A tree has the potential to sequester about a ton of carbon over 50 years. What's more, It generates enough oxygen for two human beings for their lifetimes. You are cleansing your air and making up for the carbon that you unintentionally emit.